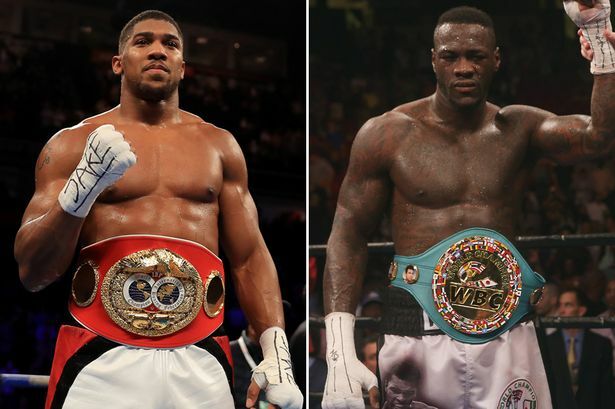 Unified heavyweight champion Anthony Joshua 21-0 (21) says that his team are preparing to make WBC heavyweight kingpin Deontay Wilder 40-0 (39) a “very good” offer for a fight that will see the winner crowned the undisputed heavyweight champion of the world. The 28-year-old Joshua, who hails from Watford in Hertfordshire in the United Kingdom, is coming off a comfortable 12-round point victory over New Zealand’s Joseph Parker 24-1 (18) at Principality Stadium in Cardiff, Wales last month. American Wilder, 32, was last in action a month ago when he stopped Cuba’s Luis Ortiz 28-1 (24) in 10 rounds at the Barclays Center in Brooklyn, New York. “I want that fight, no doubt about it. He was very vocal about wanting the fight before I was, because my objective was to accumulate every single one of the belts,” Joshua told Sky Sports. “Now I have done that, Wilder’s my 100 per cent attention. We’re about to make another offer to Wilder’s team – a very good offer that should create a lot of interest from Wilder. One sticking point is expected to be the location of the proposed bout. The WBA, IBF and WBO champion was asked if he would be prepared to travel to the United States for a rematch if the first fight is held in the United Kingdom. The second potential sticking point is the WBA’s mandatory challenger Alexander Povetkin 34-1 (24). The 38-year-old Russian scored a spectacular fifth round knockout of Olympic bronze medallist David Price 22-5 (18) of Liverpool on the undercard of Joshua-Parker. The WBA has order Joshua and Povektin to begin fight negotiations. The bout must take place within 150 days and the two camps have 30 days to negotiate. The ambitious Joshua is banking on the ageing Povetkin stepping aside to allow unification fight to take place first. “But I do want to hold onto all the belts, because I want to become undisputed heavyweight champion,” he said.